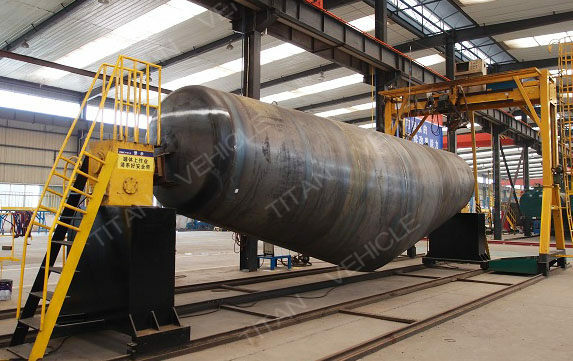 Why choose TITAN 60 tons cement bulker ? 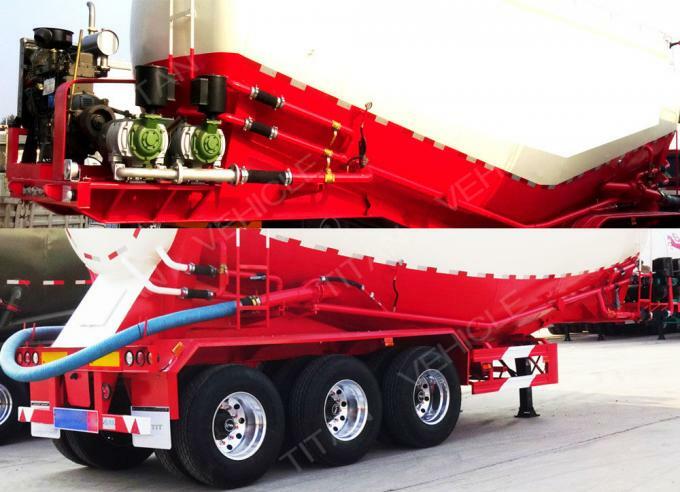 With TITAN Tri axles 60 tons cement bulker , It will not use packages as bagged cement does. and the fact that bagged cement needs to be unladed from the car one bag after another manually while bulk cement requires minimal manual handling task thereby saving labor cost. 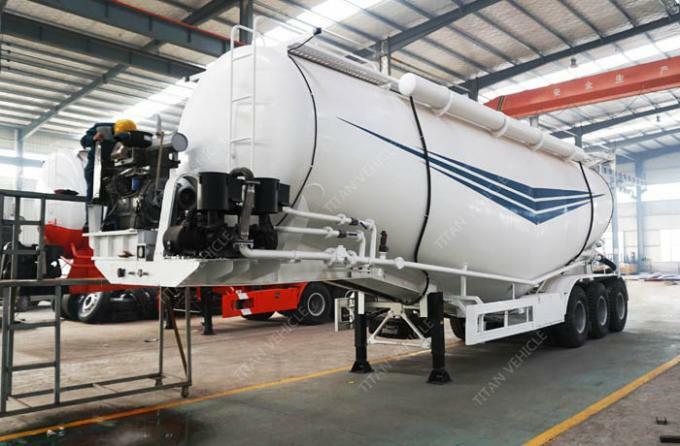 We have designed the bulk cement tank semi trailer Bulk cement is usually delivered and transported in specially constructed vehicles to cement plant, cement warehouse, or large construction site. To serve this bulk transport purpose, which is now covered by the Chinese utility model patent. 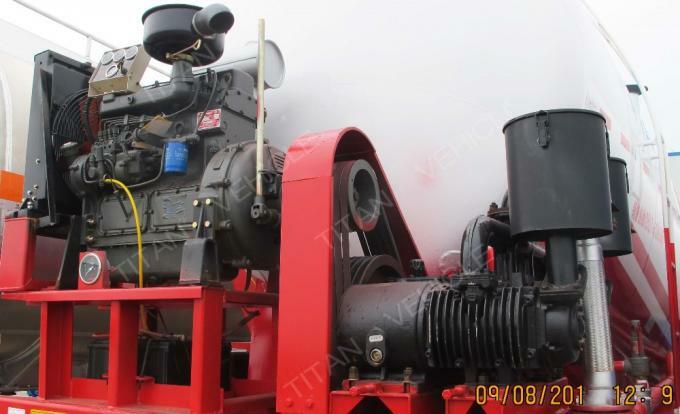 Well-known brand Weichai air compressor and OEM parts give durability and attractivelooks, saving money on operation and repair cost. Specialized welders are used to weld the tank from only one side but form smooth, sturdy, and uniform welds on both sides. High quality welds ensure no air leak. High strength steel is used to construct the semi trailer sub-frame, resulting in a lightweight construction that resists twist, shock, and bumps. 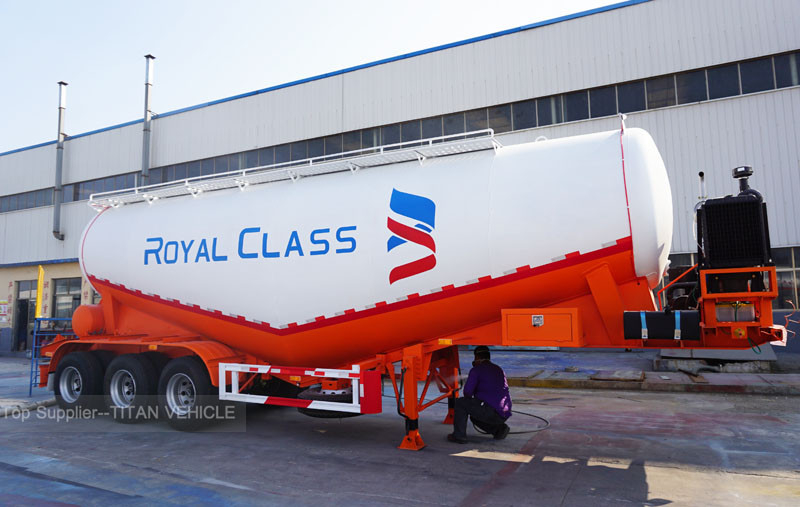 The TITAN cement bulker is suitable for driving on various tough terrains. 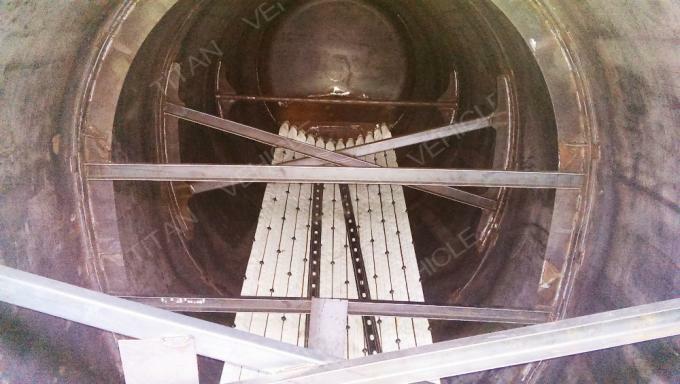 Fluidized bed can increase the effective capacity of the cement bulker tank. The tank lid is fitted with a spring to allow easy, effortless opening of the tank. The lid also offers good sealing performance when it is closed. CAD software is used to aid TITAN engineers to design a cement bulker uwith maximum effective capacity that will save customer'transportation cost and time. Please tell us your the cement bulker capacity and weight, the variety of materials to be transported, particle size, and density. We can then provide you a best solution and a cememt bulker design drawing in the shortest possible time.